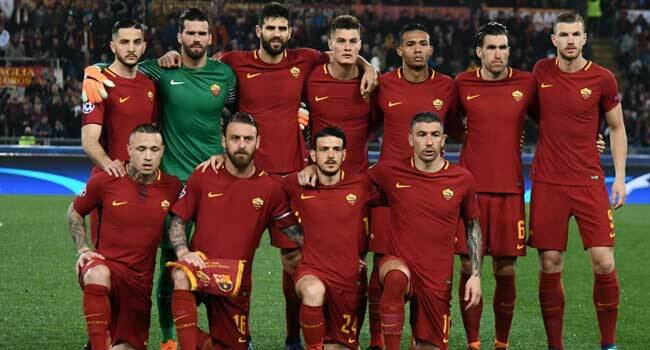 As Roma’s players pose ahead of the UEFA Champions League quarter-final second leg football match between AS Roma and FC Barcelona at the Olympic Stadium in Rome on April 10, 2018. He has faced them six times — winning five — including a memorable Champions League quarter-final return leg at Old Trafford in 2007. Lazio v Cagliari (1130 GMT), Napoli v SPAL, Empoli v Sampdoria, Sassuolo v Torino, Genoa v Atalanta, AC Milan v Fiorentina, Udinese v Frosinone (all 1400GMT), Chievo v Inter Milan, Parma v Bologna (both (1700), Juventus v Roma (1930). The post Roma Desperate To Avoid Nightmare Before Christmas At Juve appeared first on Channels Television.